We know the Game of Thrones cast is close, but these comments still have us reaching for the tissues. At Wednesday’s Game of Thrones season eight premiere in New York City, Jason Momoa opened up about Emilia Clarke’s terrifying illness, which she wrote about in a revealing, personal essay for the New Yorker last month. 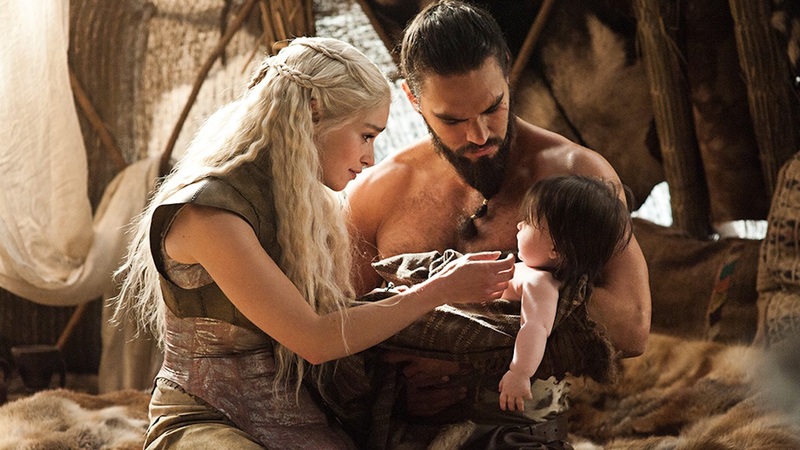 Although he hasn’t been on the HBO series since season one, when his character Khal Drogo was killed, Momoa still has a lot of love for his former on-screen wife. Clarke has undergone several surgeries to fix the injuries to her brain and has now fully recovered. She is using her platform and her experiences to help others through the charity SameYou, which she formed with partners in the U.S. and the U.K. to assist patients who have suffered brain injuries and strokes. As for who deserves to win the Iron Throne, both Momoa and his wife Lisa Bonet agree: it has to be Daenerys. “My khaleesi!” Momoa cried. Of course her sun and stars is rooting for her from the beyond — anything else would be too devastating to contemplate.